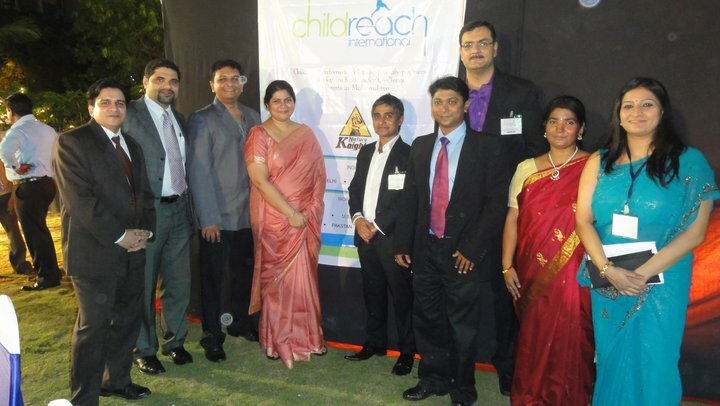 Childreach International, A UK based NGO having a global footprint partners with Nature Knights for organising Challenge Events. Nature Knights would be hosting one Charity week every month where Nature Knights and Childreach International would facilitate Challenge Events for Cause. From Left to Right - Venkatesh G, Chaitanya W,Sameer M, Shilpa M, Firoz P,Naresh C, Nimesh P, Lopa I, Nilima S.
Nature Knights and Childreach International Delegation during Launch Function at Club Millennium. Though relatively a new concept, tourism mixed with adventure has been catching on particularly among young professionals, the country’s intellect and talent pool, who find it an apt gateway to unwind, be with oneself, rediscover, refresh and rejuvenate to meet growing professional challenges and continuous ask for performance on day to day basis. The adventure is increasingly growing into sort of a much needed therapy for people. Nature Knights has been among the very few Eco-Adventure tourism Club in the country catering to such needs, a new novel trade to transgress! It clearly reflects the Club’s foresight and anticipation of growing evolving needs which though may not have as yet become very apparent but happens to be a fast emerging reality. Interacting with people –energetic and enthusiastic - and catering to individualistic strive-the Club has evolved and emerged stronger with growing sense of corporate citizenship and responsibility. 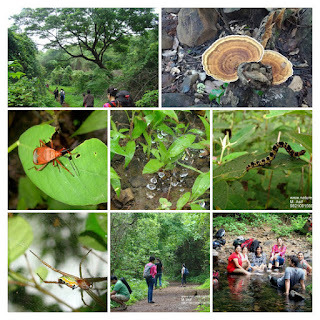 To initiate its Corporate Social Responsibility (CSR), Nature Knights Adventure club has consciously entered into partnership with Childreach International India, a part of Global charity working for child rights in the country. Childreach International reaches out to under-privileged children with rights-based approach in Africa: Ghana & Tanzania; Asia: India, Nepal & Pakistan and in USA & UK (Head Office). Childreach International India partner with grass roots initiatives, supporting projects focusing on health, education, child rights & protection with focus on girl child. The CSR initiatives start on eve of National Children’s Day (14 November), Children’s Day. And first of its events launched are Everest Base CCamp Expedition-2010. The provisional dates are to head out on the 18th December and to return home on the 1st January 2011. We will be celebrating Christmas at the Base camp and will be celebrating New year’s Eve-2011 in Katmandu. This initiative is part of the Charity Week (ending 19 November-the International Children’s Day). Further, Nature Knights in association with Childreach International India has planned unique adventure experience called “Challenge Events” for social cause! Exhilarating treks are proposed to be organized every weekend. Challenge Events are novel way of community volunteering that blends adventure tourism with a social cause. Participants of challenge events undertake an exciting expedition replete with challenges and enroot their expedition take a pause! Participants visit the world of children less-privileged, do some volunteering of services, spend quality time with them and bring some cheers in their lives. Participants also come to know - for whose welfare (and cause) they have ventured out and taken the challenge. Charges for participating in a challenge event shall be paid to Childreach International India and the fund so generated shall go towards welfare projects for children from under-privileged cohort –you have had a chance to interact with some of them during your various expeditions. Your contribution (participation charges) qualifies for IT exemption and a receipt shall be issued by Childreach International under its IT exemption certification (80G). Participating in these Challenge Events. Participate in the field visit, trek to the school and volunteer to cater to the needs identified. 2 Days of exciting adventure Weekends (During Announced Charity Weeks). Both adventure and altruism at one go. Helping Childreach International raise funds for children welfare. Opportunity to contribute to a cause- known and experienced. Highly cost effective adventure activities. ü Childreach International is a global charity with a vision to create “a world where every child has the opportunity to reach their full potential"
ü Childreach International reaches out to under-privileged children with rights-based approach in Africa: Ghana & Tanzania; Asia: India, Nepal & Pakistan and in USA & UK (Head Office). 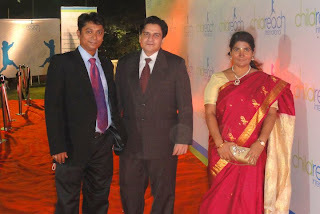 ü We at Childreach International India partner with grass roots initiatives, supporting projects focusing on health, education, child rights and protection..
Why is Childreach International different? ü Reaching and sensitizing Youth through innovative programs like Challenge Events and Future Building. Sensitizing School Students in Childreach Clubs - platform to Think- Speak out – Act on social issues. ü Active and distinguished Board members and Team working for unlocking potentials. ü Known for Strict and timely Program/ campaign implementation, Due- diligence, Monitoring and Evaluation and 100 % funds utilization. ü Known for Good Governance and Accountability & Transparency, and Dependability.